Medicare beneficiaries can get greater protections, value, and care in the Medicare services they receive through the proposed policies in March of 2014 by the Centers for Medicare & Medicaid Services. The 2015 Advance Notice and draft Call Letter takes important steps to improve payment accuracy for Medicare Advantage (Part C) for 2015. Since the Affordable Care Act was passed in 2010, Medicare Advantage premiums have fallen by 10 percent and enrollment has increased by nearly 33 percent to an all-time high of approximately 15 million beneficiaries. Today, nearly 30 percent of Medicare beneficiaries are enrolled in a Medicare Advantage plan. Furthermore, enrollees are benefiting from greater quality as over half of enrollees are now in plans with 4 or more stars, a significant increase from 37 percent of enrollees in such plans in 2013. *Lower Out-of-Pocket Drug Spending:Beneficiaries in the Part D prescription drug coverage gap, or “donut hole,” will benefit from greater savings on prescription drugs. As a result of the Affordable Care Act, in 2015, enrollees with liability in the donut hole will receive coverage and discounts of 55 percent on covered brand name drugs and 35 percent on covered generic drugs, an increase from 52.5 percent and 28 percent, respectively, in 2014. The Affordable Care Act’s Coverage Gap Discount Program has provided discounts to more than 7 million Medicare beneficiaries, an average of $1,200 each. *Improved Notification for Beneficiaries Regarding Changes in Medicare Advantage Plan Networks: The call letter identifies as a best practice greater notification to enrollees regarding anychanges to provider networks and indicates CMS’ intention to consider rulemaking that would broaden its authority to limit such changes to certain times during the year. *Greater Protection for Beneficiaries:CMS intends to again use its authority, provided by the health care law, to protect Medicare Advantage enrollees from significant increases in costs or cuts in benefits, and, for the 2015 contract year, proposes reducing the permissible amount of increase in total beneficiary cost to $32 per member per month (down from $34 per member per month for the 2014 contract year). CMS proposes to maintain existing limits on beneficiaries’ out-of-pocket spending, but clarifies existing guidance that enrollees’ dollar contributions towards these limits are transferable when they move to any plan, regardless of plan type, offered by the same organization. CMS also continues to require plans to refine their offerings so that beneficiaries can easily identify the differences between their options. *Improving Access to Preferred Cost-Sharing: CMS may request that Part D plans increase the number of pharmacies offering preferred, or lower, cost sharing as we are concerned that some plans that offer preferred cost sharing do not provide beneficiaries with sufficient access to the lower cost sharing at select network pharmacies. The intent of this policy will be to ensure that beneficiaries are not misled into enrolling in a plan only to discover that they do not have meaningful access to the advertised lower cost sharing. 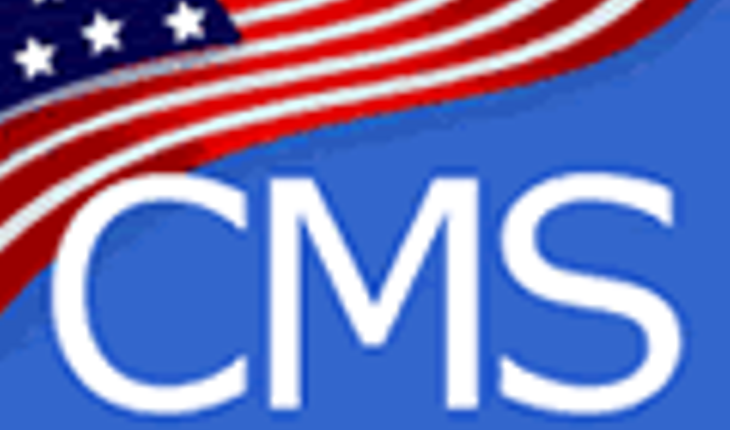 *Improved Coordination of Care:CMS intends to expand plans’ ability to use technologies that enable health care providers to deliver care to beneficiaries in remote locations. The use of remote access technologies as a care delivery option for Medicare Advantage enrollees may improve access to and timeliness of needed care, increase communications between providers and beneficiaries, and enhance care coordination. *Preliminary estimate of the combined effect of the Medicare Advantage growth percentage and the fee-for-service growth percentage is estimated to be -1.9 percent. This historically low growth in Medicare per-capita spending is tied, in part, to successful initiatives undertaken to promote value over volume and help curb fraud, waste, and abuse in the Medicare fee-for-service program in recent years. *Continue to implement changes under the Affordable Care Act to reduce overpayments and improve quality, by phasing in alignment of MA benchmarks with Medicare fee-for-service (FFS) costs. Before the Affordable Care Act, Medicare Advantage plans were overpaid by more than 10 percent compared to traditional Medicare, costing the program more than $1,000 per person each year, while quality and health outcomes were similar to those enrolled in traditional Medicare. The changes underway reduce overpayments to Medicare Advantage plans, while incentivizing quality improvements by basing part of Medicare Advantage payment on plan quality performance. *Change in how we estimate the annual trend used to adjust for risk score growth to account for the increasing proportion of baby boomers entering Medicare, who overall tend to be younger and healthier than the general Medicare population. *Continue to adjust for diagnostic coding differences between Medicare Advantage plans and Medicare fee-for-service providers. In compliance with statutory requirements, CMS proposes applying a 5.16 percent adjustment for 2015 to MA plan payments, a 0.25 percentage point increase over 2014. *Continue to calculate risk scores in 2015 using the same methodology in effect in 2014. The Advance Notice and draft Call Letter may be viewed through: http://www.cms.gov/Medicare/Health-Plans/MedicareAdvtgSpecRateStats/index.html?redirect=/MedicareAdvtgSpecRateStats/ and selecting “Announcements and Documents.” Comments on the proposed Advance Notice and draft Call Letter are invited from the industry and the public and must be submitted by March 7, 2014. The final 2015 Rate Announcement and Call Letter including the final Medicare Advantage and FFS growth percentage and final benchmarks will be published on Monday, April 7, 2014.